If you write code, you write APIs. You should care about the costs they inflict. 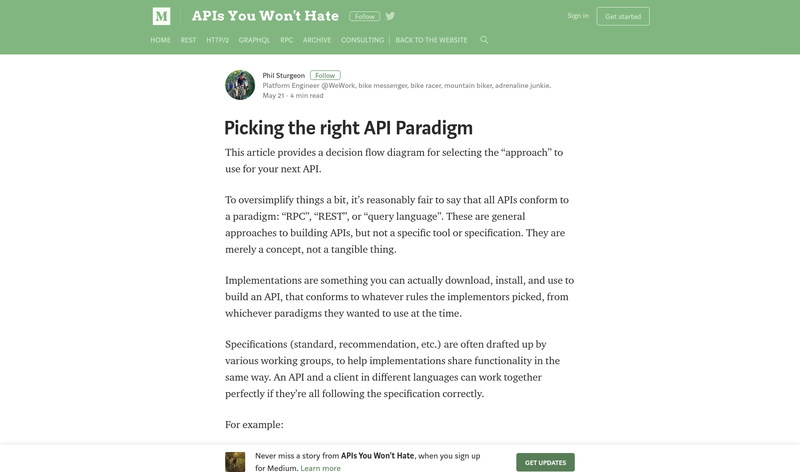 In this article, Collin Flynn shows examples of how a good API can guide you deterministically towards correct usage, and how a bad API can waste your time and erode your sanity. 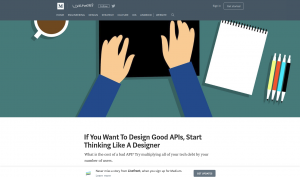 A death knell for APIs is releasing constant breaking changes or updates that require the app developer to rework their app. A more efficient methodology is to use some of the same principles from the LEAN methodology to encourage constant (and early) learning. 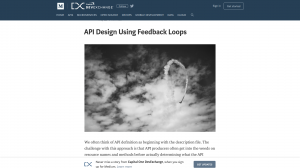 In this article, Lorinda Brandon defines the benefits, risks and techniques for establishing feedback loops for your API. 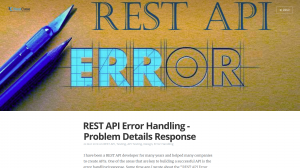 All APIs conform to a paradigm: “RPC”, “REST”, or “query language”. 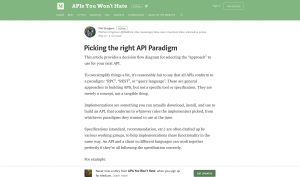 Phil Sturgeon provides a quick guide for selecting the “approach” for your next API, in the form of a decision flow diagram. The interest in API testing has been growing steadily over the last couple years. 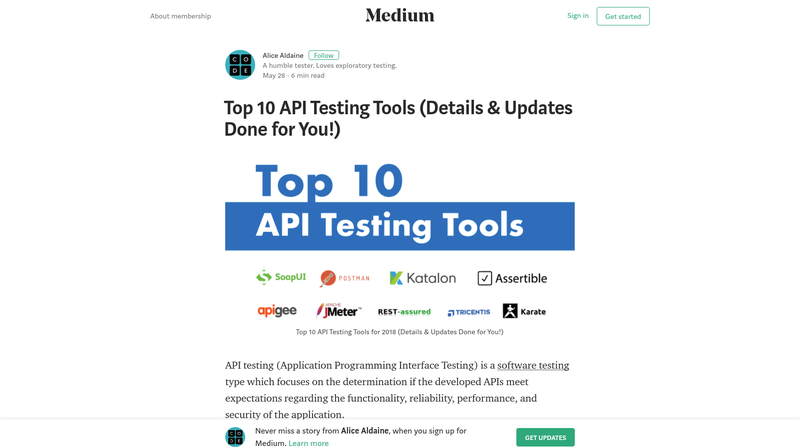 Alice Aldaine provides the summary of the top API testing tools cover both open-source and commercial solutions that testing teams can select to suit their needs. 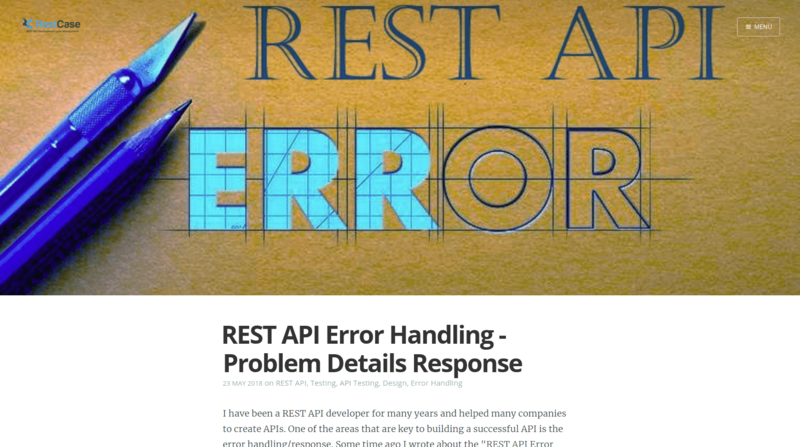 The error handling/response is one of the areas that are key to building a successful API. Guy Levin from RestCase presents the examples of the famous companies’ error responses and the way RFC-7807 comes to the rescue. Nowadays online security is set to take center stage like never before. 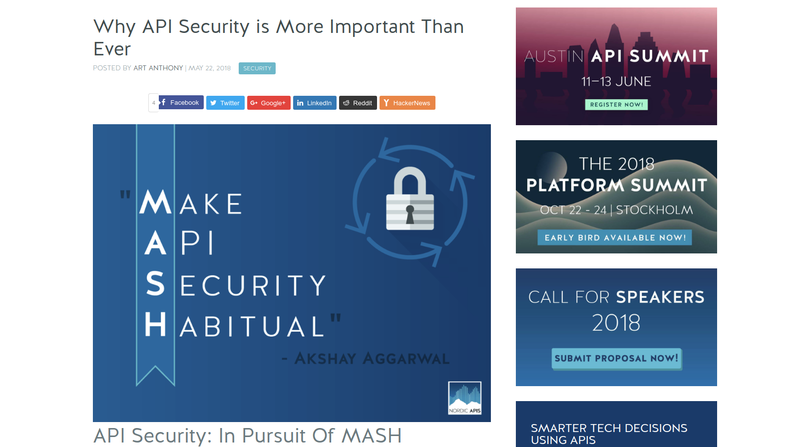 In this article Art Anthony refers to Akshay Aggarwal from Nordic Apis, who dropped a few thoughts on security. Akshay points out some key points according to which he considers API security and denotes three checkpoints that can be thought of as a solid foundation for good API security. 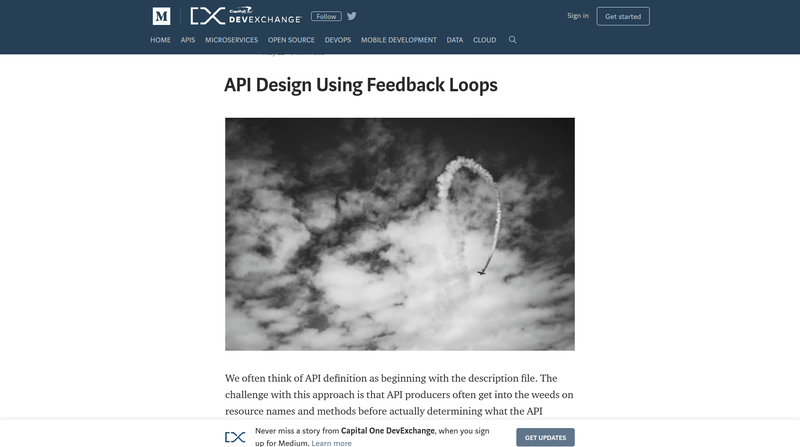 If you are interested in getting the latest news in the API world, check our digest #93 and #92 as well as stay tuned for the new blog posts. In case you are interested in using unified shopping cart API, your best choice is API2Cart. Click the button below and schedule a call with our expert.